This September the U.N. Human Rights Council in Geneva, Switzerland has encountered two items relating to Cuba: (a) a Council reprimand of Cuba for its alleged punishing some of its citizens for cooperating with the U.N. on human rights and (b) Cuba’s human rights record. On September 20 the U.N. Human Rights Council reprimanded Cuba by putting it on a list of 29 states that have “punished people, through intimidation and reprisals, for cooperating with the UN on human rights.” Such reprisals and intimidation include travel bans, asset-freezing, detention and torture. I have not seen any Cuban response to the Council’s reprimand. In any event, Cuba as soon as possible should end any harassment of Cubalex Legal Information Center and any of its officers and employees. Any reforms of the Human Rights Council would seem to lie with the General Assembly, which I assume would only do so after significant study, analysis and voting, and I am unaware of any such study being proposed or conducted. U.N. Human Rts. Council, Report of the Secretary-General: Cooperation with the United Nations, Its representatives and mechanisms in the field of human rights (# A/HRC/36/31, Sept. 15, 2017)(Advance unedited version); U.N. Human Rts Council, Oral presentation by the Assistant Secretary-General for Human Rights of the Report of the Secretary-General on cooperation with the UN, its representatives and mechanisms in the field of human rights (No. 36/31 Sept. 20, 2017); U.N. Human Rts Council, Report highlights rising reprisals against human rights defenders cooperating with the UN (Sept. 20, 2017); Reuters, Record Number of States Punishing Human Rights Activism: U.N., N.Y. Times (Sept. 20, 2017). See earlier post to dwkcommentaries: Cuban Police Search and Seize Property of Independent Legal Center (Oct. 7, 2016) (CUBALEX is the Center in question); More Cuban Arrests of Dissidents ( Dec. 2, 2016) (arrest of Alfredo Ferrer Tamayo, who is ‎affiliated with Cubalex). U.S. Mission Geneva, Statement by the United States of America (Sept. 19, 2017). Cuba rejects manipulation of human rights issue in Geneva, Granma (Sept. 21, 2017). 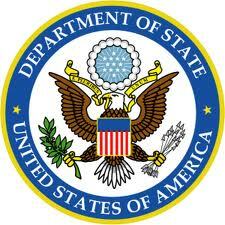 On July 28, 2014, the U.S. State Department released its annual report on religious freedom around the world. The world had the largest displacement of religious communities in recent memory. In almost every corner of the globe, millions of Christians, Muslims, Hindus, and others representing a range of faiths were forced from their homes on account of their religious beliefs. Out of fear or by force, entire neighborhoods are emptying of residents. Communities are disappearing from their traditional and historic homes and dispersing across the geographic map.” In conflict zones (Syria, Central African Republic and Burma), this mass displacement has become a pernicious norm. All around the world, individuals were subjected to discrimination, violence and abuse, perpetrated and sanctioned violence for simply exercising their faith, identifying with a certain religion, or choosing not to believe in a higher deity at all. Countries where this was a significant problem were Pakistan, Egypt, Saudi Arabia, Iran, Bangladesh, Sri Lanka and Eritrea. Throughout Europe, the historical stain of anti-Semitism continued to be a fact of life. Governments repressed religious freedom. Governments from all regions subjected members of religious groups to repressive policies, discriminatory laws, disenfranchisement, and discriminatory application of laws. These governmental actions not only infringed on freedom of religion themselves, but they also often created a permissive environment for broader human rights abuses. Restrictive policies included laws criminalizing religious activities and expression, prohibitions on conversion or proselytizing, blasphemy laws, and stringent registration requirements or discriminatory application of registration requirements for religious organizations. This was especially true in North Korea, Saudi Arabia, Iran, Sudan, China, Cuba, Tajikistan, Turkmenistan, Uzbekistan, Pakistan, Burma, Russia and Bahrain. Governments engaged in discrimination, impunity and displacement of religious minorities. When governments choose not to combat discrimination on the basis of religion and intolerance, it breeds an environment in which intolerant and violent groups are emboldened, even to the point of physically attacking individuals on the basis of their religious beliefs. Governments in these countries failed to protect vulnerable communities and many religious minority communities were disproportionately affected, resulting in a large number of refugees and internally displaced persons. This was especially true in Syria, Sri Lanka, Egypt, Iraq, Bangladesh, Indonesia, India and Nigeria. Rising anti-Semitism and anti-Muslim sentiment in the following countries of Europe demonstrated that intolerance is not limited to countries in active conflict:Belgium, France, Germany, Hungary, Italy, Latvia, Sweden and United Kingdom. Religious minority communities were disproportionately affected by violence, discrimination and harassment. In many regions of the world, religious intolerance was linked to civil and economic strife and resulted in mass migration of members of religious minority communities throughout the year. In some of these areas, the outward migration of certain communities has the potential to permanently change the demographics of entire regions. Turkmenistan, which is new to this State Department list, is the only one of eight countries recommended for such designation by the latest report from the U.S. Commission on International Religious Freedom. The others so recommended by the Commission are Egypt, Iraq, Nigeria, Pakistan, Syria, Tajikistan and Vietnam. Simultaneously with this report’s release, the Obama administration announced the nomination of Rabbi David Saperstein as the next ambassador-at-large for international religious freedom. Rabbi Saperstein, a reform rabbi and lawyer known for his work in Washington to advance religious freedom, would be the first non-Christian to lead the State Department’s Office of International Religious Freedom, if confirmed by the Senate. This post is based upon the International Religious Freedom Report for 2013 (July 28, 2014); Secretary Kerry, Remarks at Rollout of the 2013 Report on International Religious Freedom (July 28, 2014); Assistant Secretary Malinowski, Remarks on the Release of the 2013 Report on International Religious Freedom (July 28, 2014); Department of State, Fact Sheet: 2013 Report on International Religious Freedom (July 28, 2014). Earlier posts covered the international law regarding religious freedom and the State Department’s reports on the subject for 2011 and 2012. On April 30, 2014, the quasi-independent U.S. Commission on International Religious Freedom released its Annual Report 2014, pursuant to the International Religious Freedom Act of 1988 (“the Act”). Because of my personal interest in Cuba, including its religious freedom, a subsequent post will critique the Report regarding that country. The Act § § 202, 205. The Report contains an account of the development of the Act and the 15-year history of its implementation. (Pp. 11-23.) A prior post examined the fascinating structure and composition of the Commission, and another post its report issued in 2013.